Blitz Turbo System UNIVERSAL - Pann Auto Performance - San Diego largest aftermarket automotive performance parts - What do you drive? BLITZ and Triple K (KKK) Turbo of Germany have collaborated to produce one of the best turbos on the market. Together, BLITZ and Triple K have exclusively designed specific turbos for certain appliations that produce maximum power with maximum boost response. 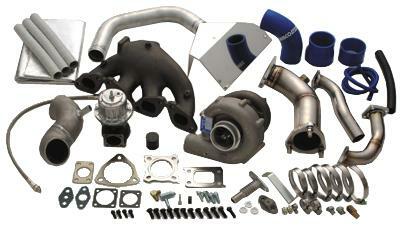 BLITZ wastegates are engineered to have precise boost control and the ability to withstand extreme heat conditions. Included in all BLITZ Turbo Kits are: all necessary hardware, manifold, turbo, turbo-outlet pipe, wastegate dump-tube, and wastegate – establishing BLITZ Turbo Kits as the most complete and cost effective kits on the market.